Come and Meet the People of Hawaii! One of the most interesting and exciting parts of travel is meeting the natives of the land you are visiting. In Hawaii, the natives hold a high respect for nature, a characteristic that is echoed in their belief systems, history, language, political structure, and their way of life in general. Whether you are taking a trip to Hawaii for business or pleasure, romance, or adventure, you should definitely take some time to get to know the people here and their culture. Read on to learn more about the natives of Hawaii and Hawaiian culture in general. The Hawaiian Islands had been uninhabited for millions of years, until around A.D 300 to 600. The Polynesians from the Marquesas Islands were the first to reach the Hawaiian Islands. Settling by the waters, these natives started small farming systems that became some of their main food sources. Another group of settlers arrived in hundreds of years later. This second wave of settlers were the Tahitians, who were also of Polynesian decent. The Tahitians oppressed the first settlers from the Marquesas, calling them commoners and forcing them to run off and make a living in the mountains. It was the Polynesians from Tahiti who came to inhabit much of the Hawaiian Islands before the first Westerners landed on the Islands in the late 1700s. 1. Mo'i -- The mo'i is the main ruler of a specific area, also considered as the king of the lands. The mo'i leaded the people during wars against neighboring clans or kingdoms and when performing religious rituals. A chief minister and a high priest served as his advisors. 2. Ali'i -- The ali'i or chiefs are next in line to the mo'i. The complex ranking system of the ali'i was based on familial ties. Their duties included preparing meals for the mo'i, watching him while he slept, and entertaining him through dances and chants. 3. Priests -- Priests are also highly respected in Hawaiian politics because of the people deep spirituality. Called as "kahuna," these priests were revered by all because of their mastery of religious rites. Usually, a kahuna specializes in a specific type of religious rite. Priests can also be composed of skilled craftsmen who may also specialize in other fields such as canoe building and medicine. Because people highly revered priests, some of the kahuna were given respect and recognition equal to or exceeding that of the chiefs or ali'i. 4. Maka'ainana -- These refer to the commoners or masses who make up most of the ancient Hawaiian population. Just like in other cultures and ancient civilizations, these commoners performed most of the labor needed to sustain the community such as fishing, farming, and construction. They gather and make many of the goods used by everyone in the community, and they also pay taxes to the mo'i. The commoners would also fight for their chiefs and kings. One of the unique aspects of the Hawaiian society is that the maka'ainana could actually go and live in another area if the leaders and chiefs were too difficult to deal with. Members of this social class can also rebel if the ruling parties have become too much for them to handle. 5. Kauwa -- The kauwa are outcasts of the society. People in this class are usually slaves or prisoners of war. The basis of the Hawaiian socio-political structure was the kapu system, a belief system dictated by restrictions or taboos. However, the kapu system was broken by Liholiho, King Kamehameha's son. The Hawaiians had numerous temples that were used to worship different kinds of gods. Basically, these shrines came in two types, those being raised platforms and walled enclosures. Oracle towers were also a regular type of structure found in these temples. Some of the the things that most Hawaiians would pray for and have rituals for include aid in wars, fertility, harvesting season, death, attaining adulthood, and birth. The kahuna would normally act as ritual leaders and participators. The kapu system also applies to religoius practices, as this strict set of rules guarded against taboo or improper actions. Farming and fishing were both very important aspects of Hawaiian life. The Polynesians who first inhabited the Hawaiian Islands brought with them a number of plants and animals that became staples in their diet, from sugarcane and taro to chickens and pigs. Agriculture became a major industry that fueled Hawaii's economy for a long time. The land was divided through the ahupua'a system, which was a way of dividing the land among the chieftains and their people. Each ahupua'a was a wedge-shaped piece of land running the tops of the mountains and widening out toward the shoreline. Most of the farming took place in areas between the mountaintops and the shoreline, while the fishing was done in the designated beach areas of each ahupua'a. Ahupua-a were designated by the king depending on rank and standing, as well as how resource rich the land was. Neighboring ahupua'a often trade goods with each other to ensure that all were prosperous. The first inhabitants of the Hawaiian Islands brought along with them their customs, religious beliefs, philosophies, arts, and crafts. Though many of the customs and rituals practiced by Hawaiian natives can be traced back to the Polynesian cultures in the Marquesas and Tahiti, the Hawaiian natives were the ones who refined and perfected the different aspects of Polynesian culture. A good example of an area in which Hawaiians excelled over their Polynesian cousins was in clothing. Native Hawaiians used techniques similar to their Polynesian ancestors to create a type of material called kapa, which was often used to fashion skirts, shawls, and loincloths. Although this type of material was regularly crafted and used in other Polynesian cultures, the Hawaiians took it to a level of quality far beyond what other cultures had. The Hawaiian kapa was dyed in various colors from vegetables, infused with fragrances from flowers, and designed with bamboo-stamped patterns. Another aspect of culture that the Hawaiians excelled in is their recreational activities and physical skills. One of the main reasons Hawaiians excelled in arts, crafts, and skills is because they often have competitions to showcase their talents and entertain one another. From canoe races and swimming displays to war games and other athletic endeavors, the Hawaiians have grand tournaments and competitions spanning neighboring regions and neighboring islands. Spectators often gamble on the outcomes of these competitions, especially the ali'i who often sponsored the strongest athletes. 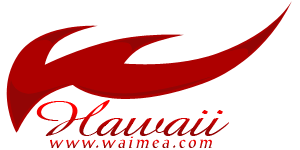 One of the most recognized and well known Hawaiian art is the hula. Contrary to what some may think, hula is not just danced for enjoyment. The truth is, the dances and chants of hula are usually based on traditions, myths, tales, history, religious rites, and the general philosophy of the Hawaiians. These poetic celebrations of life and culture convey stories about who the Hawaiians are and what the Hawaiians are all about. Native Hawaiians and even many of the inhabitants of the islands today have put a lot of effort into preserving their culture and their art. Places such as the Polynesian Cultural Center are a testament to their dedication toward preserving and celebrating their culture. Aside from tourist attractions like the PCC, you can sense it in the people. When you talk to the people and get to know them, you can sense that they have a deep respect for nature, culture, arts, and, most importantly, each other. Meet some of the natives of Hawaiians today and you may just find that not much has changed in their laid-back and nature-loving culture. Many Hawaiians show interest and actively participate in the ancient arts and crafts of their ancient ancestors. The people of Hawaii are still passionate about preserving their culture and their traditions, which makes them one of the most enduring and persevering culture in the world. Perhaps it is because of their close ties with and respect for nature that the Hawaiians hold on so tightly to their ways. Perhaps the most heart-warming aspect of Hawaiian culture is simply their inviting, welcoming, and hospitable spirit. Hospitality and kindness can be seen in the smiles on their faces, lei-laying tradition, and the unique greeting "Aloha!" "Aloha" is commonly used to say "hello" or "goodbye." On a deeper level, however, this is also a greeting that is meant to express a spirit of harmony, positivity, and goodness among one another. When native Hawaiians greet you "aloha," they are imparting upon you their love, respect, and good wishes. In many ways, the simplicity of the word "Aloha" and its profound meaning reflect the beauty of the Hawaiian islands and its people. The striking theme here seems to be that the beauty is in the details. The Hawaiian culture is influenced just as much by social, political, and economic factors as it is by the changing tides, rising mountains, living forests, and gleaming stars. If you plan on taking a vacation to Hawaii, remember to take some time to relax and get to know the people and the spirit of Aloha. You're sure to have a blast in enjoying every little detail of Hawaii, its culture, and its people.